On November 4, 2010 a federal bankruptcy judge in West Virginia ruled that the obligation to pay a former spouse a debt under a divorce decree was dischargeable. In this case the former husband, who later filed for bankruptcy, owed the former wife money for her share of the equity in the marital home, attorney’s fees from the dissolution action, costs from the same action, and money owed on a credit card account. The former husband sought to have these debts discharged in a subsequent bankruptcy. Typically support obligations arising out of a family law case are not dischargeable. Under 11 U.S.C. sec. 523(a)(5), “[a] discharge under section . . . 1328(b) of this title does not discharge an individual debtor from any debt . 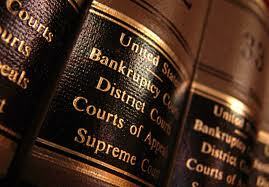 . . (5) for a domestic support obligation.” The term “domestic support obligation” is defined in the Bankruptcy Code. In this particular case the Court found that although the debts met three of the four elements under the definition of “domestic support obligations” under the Bankruptcy Code, they did not all meet the fourth requirement that the obligation be in the nature of alimony, maintenance, or support.